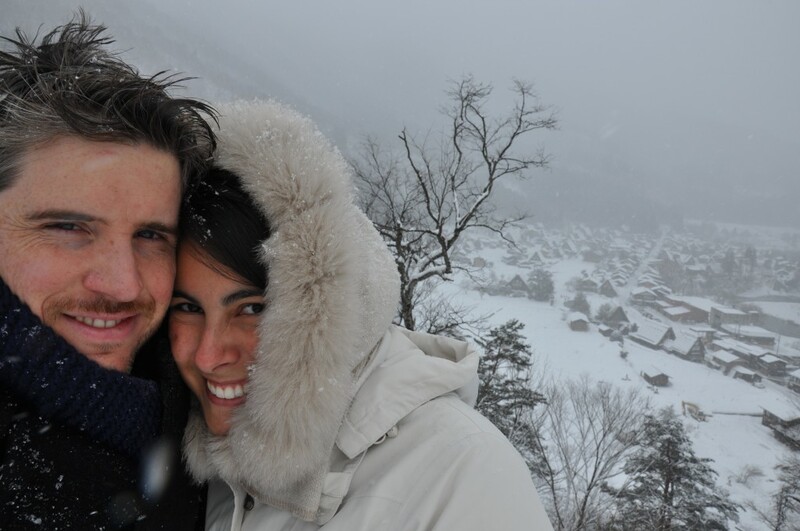 Some people said we were crazy to want to explore some of Japan’s highest mountains during the winter. I must admit it wasn’t by design that we planned the trip this way but other than Kyoto and Tokyo, all the other destinations we went to were indeed on the mountains. Not a difficult task considering that 72% of Japan is mountainous. Now, I would argue that visiting mountains in the winter is that bit more special because of its beautiful snow tops and magical silence. 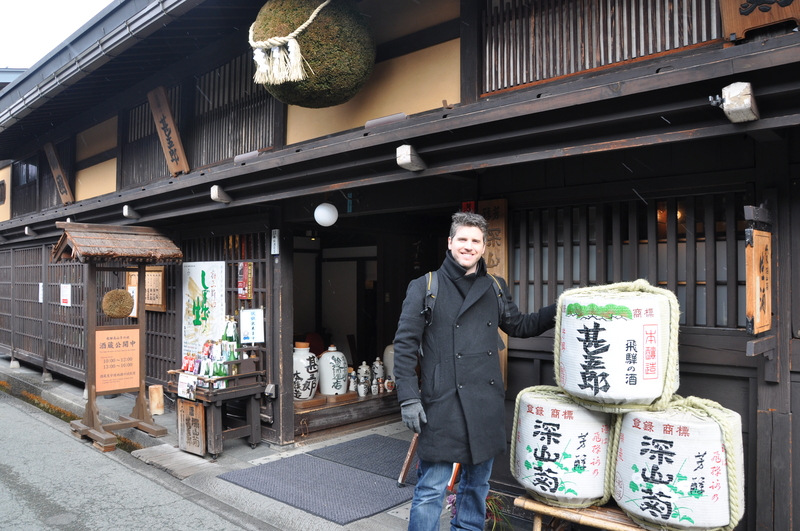 In this post I am going to tell you about our visit to Takayama/ Shirakawa-go. This is a traditional Japanese town where you can still find old wooden houses in the middle of a concrete road and taste ramen with no guilt of being in a touristic place. When we arrived to at the train station, we felt we were in an abandoned ghost town. Not a lot of people around and very few tourists walking on the street. The ‘new’ part of the city is completely standard with quite a sad feel to it to be honest. We continue walking up to reach the ‘old town’ where 3 parallel streets take you back to a different era. All the houses are what you imagine as the old traditional japanese houses made of wood, with little fabric curtains on the doors and paper windows. Many of them today are shops or restaurants but the stars of the show are the sake breweries. Most of them open their doors to the public during the winter months so we were able to get a glimpse of how sake is made. A lovely lady that barely spoke any english went frenetically through a notebook with english explanation to read to us how the production goes – very sweet. Takayama is known for its Floats Festival that happen twice a year. In Spring and Autumn, these massive beautifully decorated structures are carried through the streets to the sound of music. This is a tradition since the 17th century but these days the floats that are carried are not any longer the original ones made of steel and gold. That’s because they need men with exact same height to carry this massive cars but they can’t find enough men to fit the bill any longer. 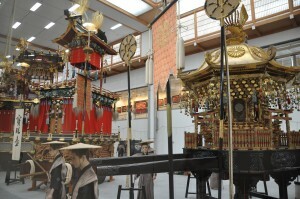 Don’t be too disappointed because the original floats can still be seen in a museum in the north of the city. You even get a walkman to listen to a cassette in english – this is not a joke. 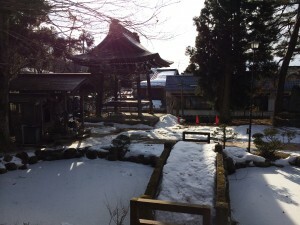 Other than that, Takayama is the home for hundreds of temples. We didn’t have a lot of expectations but yet decided to go for a stroll through the Higashiyama Walking Course. This is a very well sign posted route to visit a few temples and then continue to the woods. 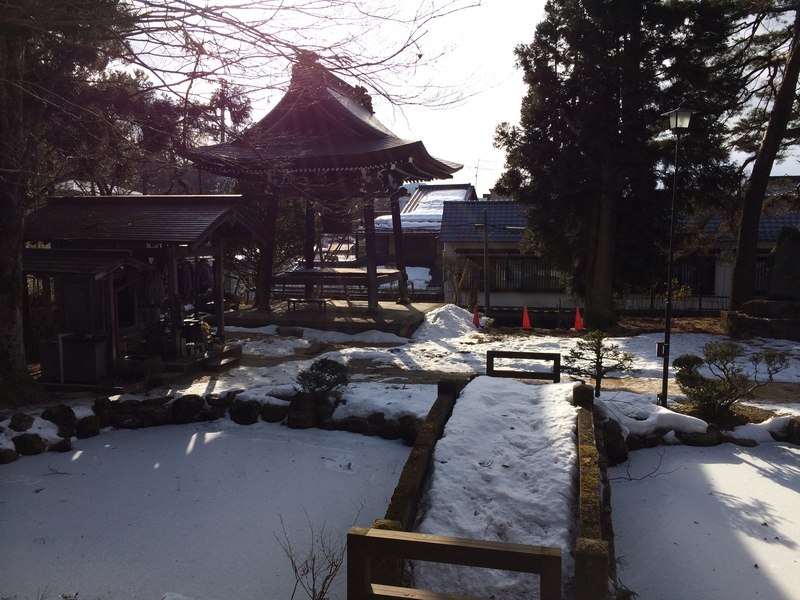 Needless to say that it way too cold to go into the woods but we were pleasantly surprised by the variety and quantity of temples one next to the other. We stayed at Hotel Spa Alpina which is a more business type of hotel. Simple but clean and with onset (hot spring communal bath) on the top floor. 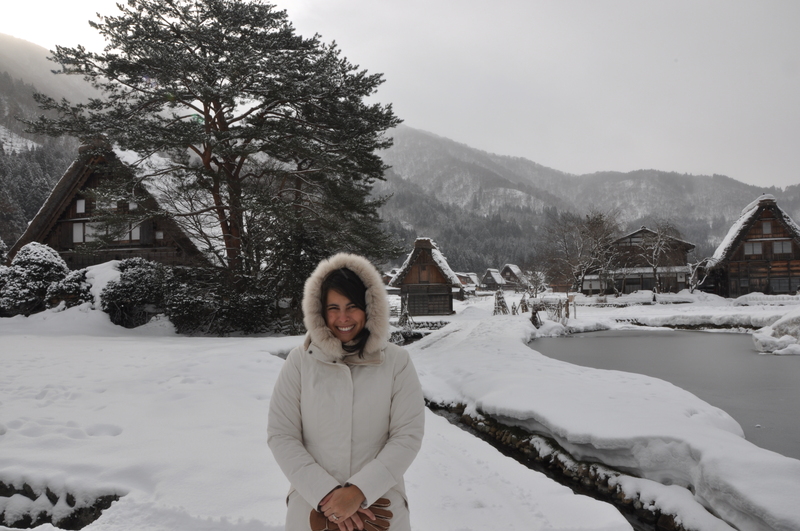 From Takayama we did an overnight side trip to Unesco’s World Heritage site Shirakawa-go. It only takes 90 minutes on the bus but during the journey we could already see that we were crossing the line between modern times to rural wonderland. 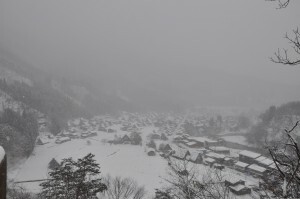 We got to Shirakawa-go almost at sunset so we could only catch a glimpse of the famous gassho-zukuri farmhouses that make up the whole village under a thick layer of snow. Gassho-zukuri means “constructed like hands in prayer”, as the farmhouses’ steep thatched roofs resemble the hands of buddhist monks pressed together in prayer. They are all built facing the same direction so the roof is parallel to the wind stream and not against it to avoid too much draft and cold inside the houses. Traditionally they were used as family homes and as silk farms but today they are mostly converted into ryokan’s. outdoors one looking out to the snowy mountain. 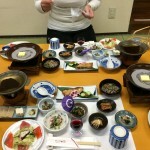 The food was included and it was delicious if you like traditional japanese food. Lovely ladies that don’t speak a word of english set the table per room and serve this amazing feast that you practically cook yourself on the table. Yummy! From there, we took the train back to Nagoya and changed trains to head to Hakone. The first train went literally backwards for a while but not to worry because all seats can be rotated at any time or by a central switch. Only in Japan. Qué significa “onsen”? Muy bonita su idea de escribir sobre su viaje, aunque a veces se necesita explicación de ciertas palabras! Muchos besos y sigan pasándola bien y aprendiendo mucho!